This EA will turn your losing trades into winners using a unique imbalanced hedging strategy. Once the initial trade moves into negative territory a predefined number of pips, the recovery mechanism will kick in: it will place a limited amount of alternative trades above and below the current price, until all of them can be closed with a small net profit. The recovery will fail in a minority of cases, if the market stays flat for a long period of time. If it fails, it incurrs into a calculated loss. 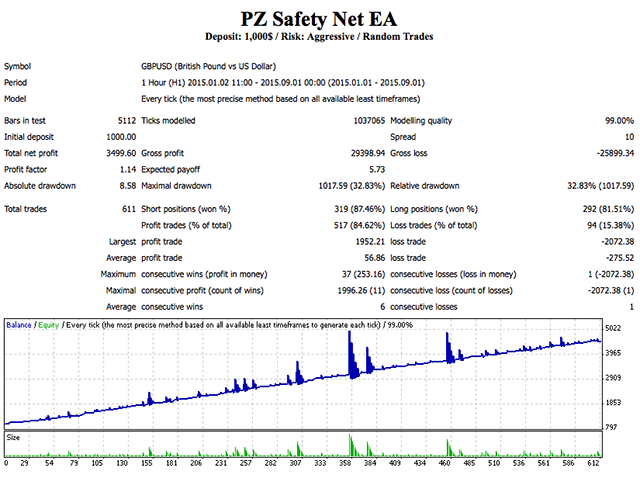 The purpose of this EA is not to be profitable by itself, but to avoid preventable losses within the limits of the account free margin. Lotsize: Lot size of the initial trade. 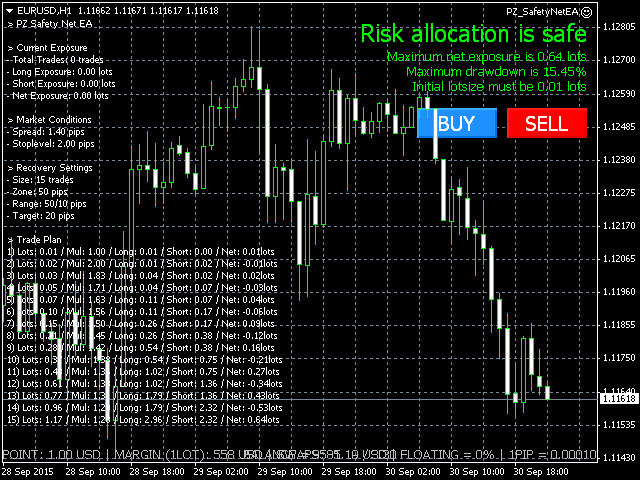 Break-even: Profit in pips at which the EA moves the stop-loss above/below the open price for the first trade. Break-even Behavior: Upon breakeven, the SL can be moved to the open price, or secure part of the profits. Trailing Stop: Trailing stop expressed as % of current trade profit. 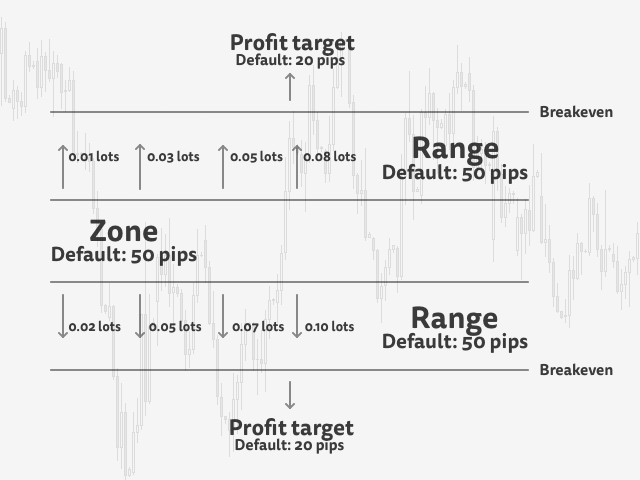 Trailing Step: Minimum increase in pips for the trailing stop. Take Profit: Stealth take profit for the first trade. 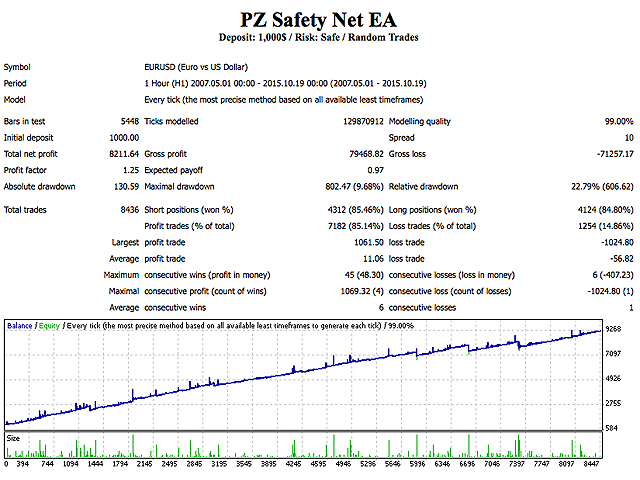 Entry Strategy: The EA implements a some automated entry strategies to facilitate backtesting. Options are: CCI, ADX, RSI, Bollinger Bands, AC, AO, Alligator, MACD, PSAR, RVI, Stochastic, Heiken Ashi, Turtle Trading, Breakouts, Buy Constantly and Sell Constantly.